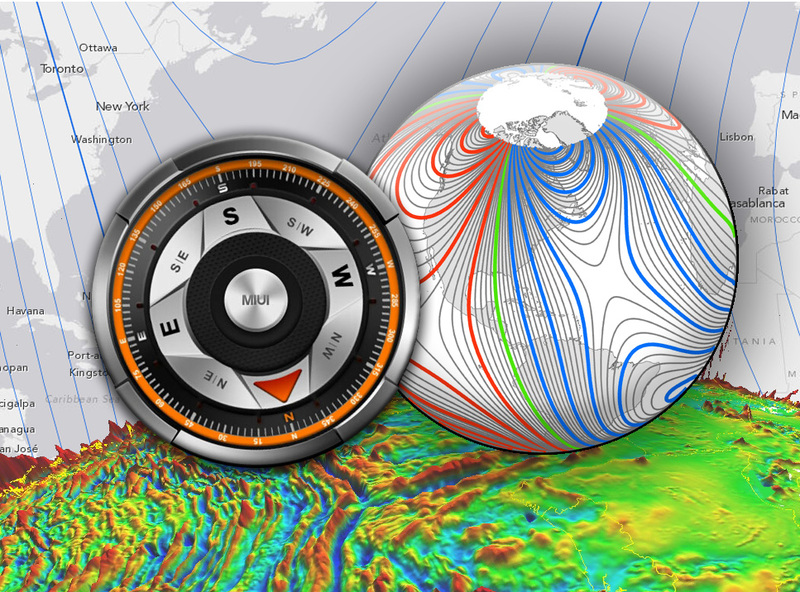 NOAA officials recently announced the World Magnetic Model (WMM), a representation of Earth’s large-scale magnetic field and an indispensable complement to GPS devices used by NATO, the United States and United Kingdom militaries, as well as civil applications ranging from mineral exploration to smartphone apps, has been updated. Changes in the Earth’s outer core trigger unpredictable changes in its magnetic field, an invisible force that extends from Earth’s interior to where it meets a stream of charged particles emanating from the Sun. For example, over the past few decades the North magnetic pole has been drifting toward Siberia at an irregular speed. This migration can adversely affect the accuracy of navigation if not compensated for by an updated WMM. Publicado el enero 1, 2015 en Technical y etiquetado en magnetic field, NOAA, World Magnetic Model. Guarda el enlace permanente. Deja un comentario.